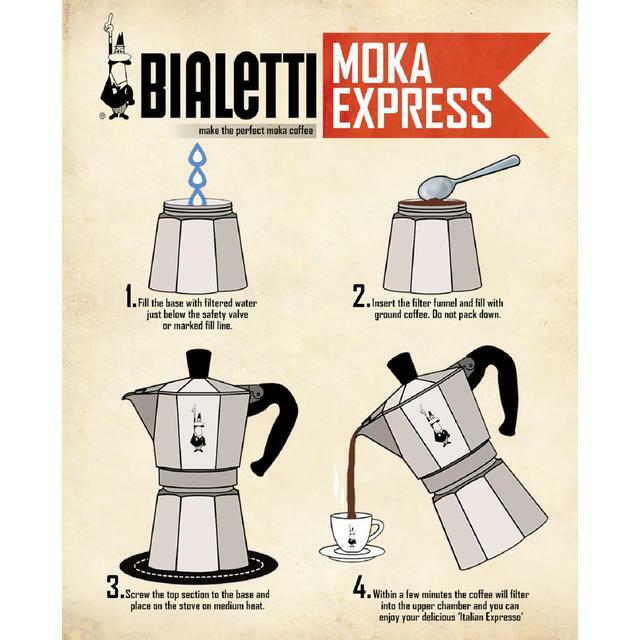 The "Moka" is the classic Italian coffee maker - they say every household in Italy has at least one... and of which more than 220 million pieces were sold worldwide over the last 6-7 decades! It has also found a place in the Museum of Modern Art in New York as an Italian industrial icon. 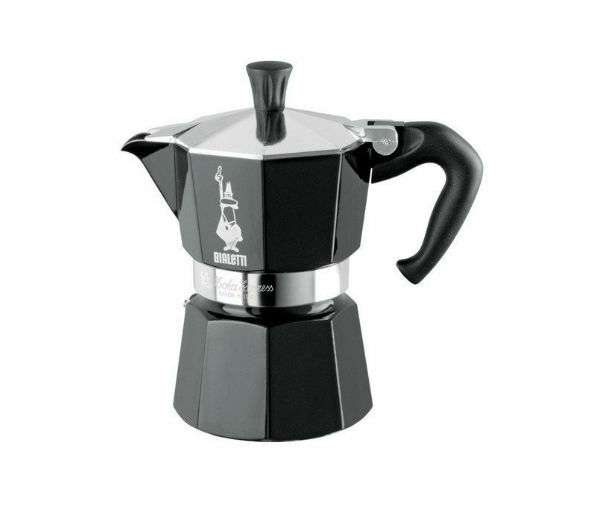 The size of 6 cups is intended for coffee served the Italian way i.e. 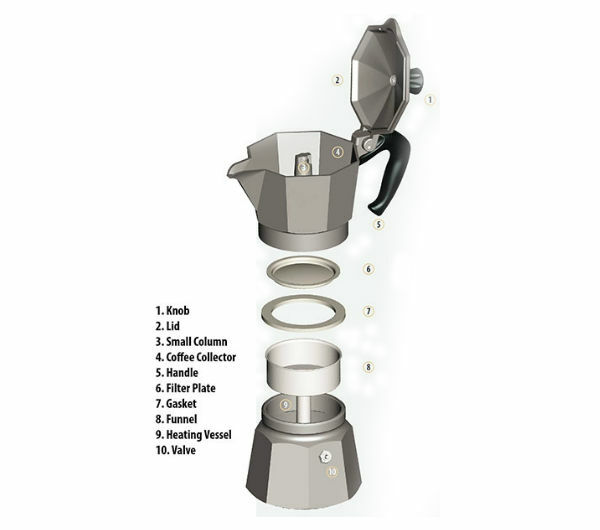 6 small portions in Moka cups. 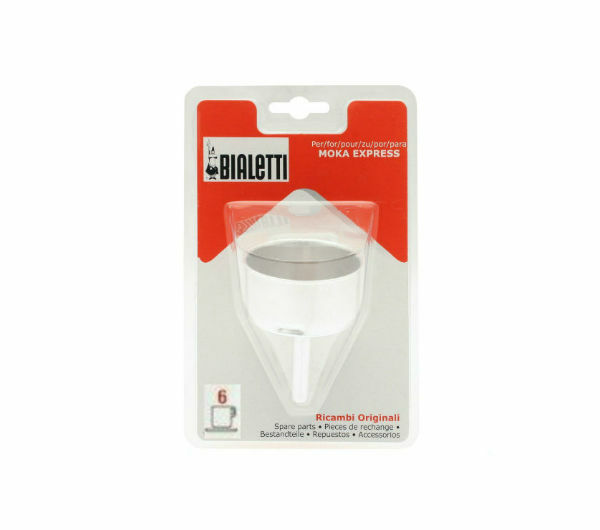 These can be either thick-walled espresso cups but often also thinner ones, sometimes with decorations. 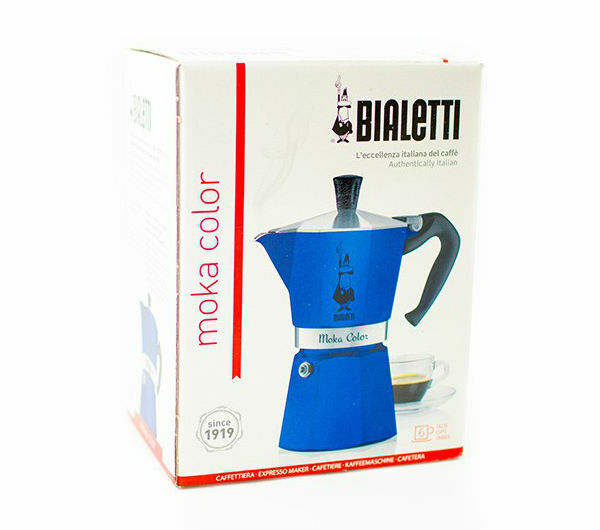 The Moka can be used on practically all heat sources except induction, due to its aluminium body. It should not be put into the dishwasher, but rather hand-washed, and if possible without detergent. 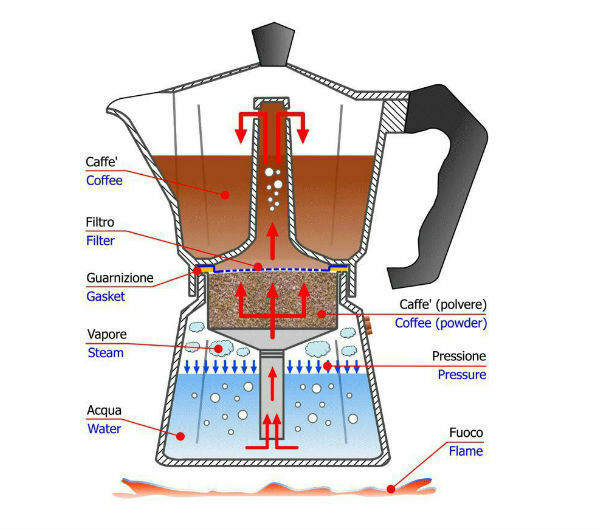 Before preparing the first coffee for drinking, It is recommended to brew it up once with cheap or old beans to be discarded. 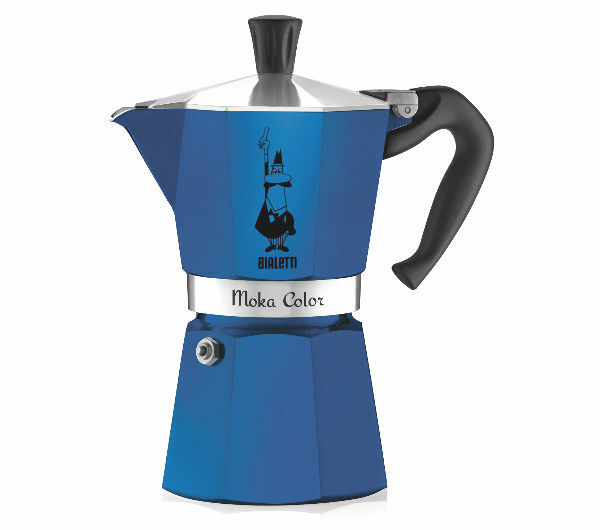 This is the blue version in the "Moka Color" line.